I haven’t posted anything since Friday and was starting to have blog withdrawals. No more extended breaks, k? I have felt pretty out of it the past few days, maybe the lack of blogging, maybe the excessive drinking at the wedding (which was awesome and I will discuss later), maybe the 8 hour drives there and back, maybe the bad juicing experience (will explain later) or maybe eating meat for the first time in awhile because I was in Texas at a wedding where the word vegetarian is reserved for hippies all had something to do with it. Either way, I am finally starting to feel like myself again. Last week, D-Money and I had dinner with another couple. This is actually a weekly tradition in our friendship; one week we host, the next they host and it keeps rotating. It’s a great tradition and a nice way to relax and be social. We started doing it last semester and we keep going strong. I will seriously miss them when they leave this summer to start their lives in Florida. 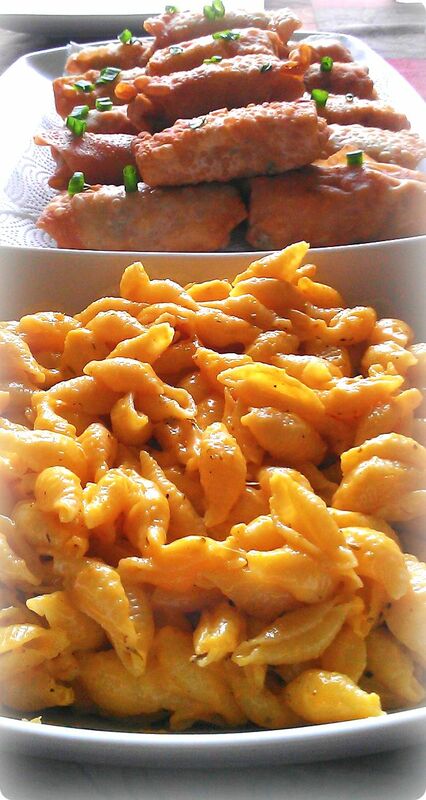 For dinner last week we made buffalo chicken fried wontons and baked mac and cheese. 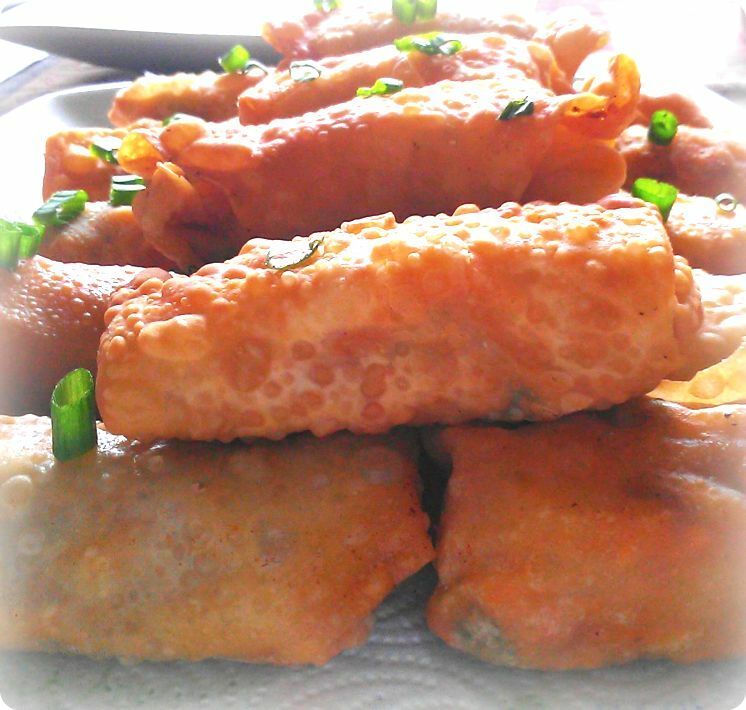 The spotlight is on these buffalo chicken fried wontons today; they are tasty, simple to make and create a gorgeous presentation. Although, the mac and cheese looks pretty darn good as well! 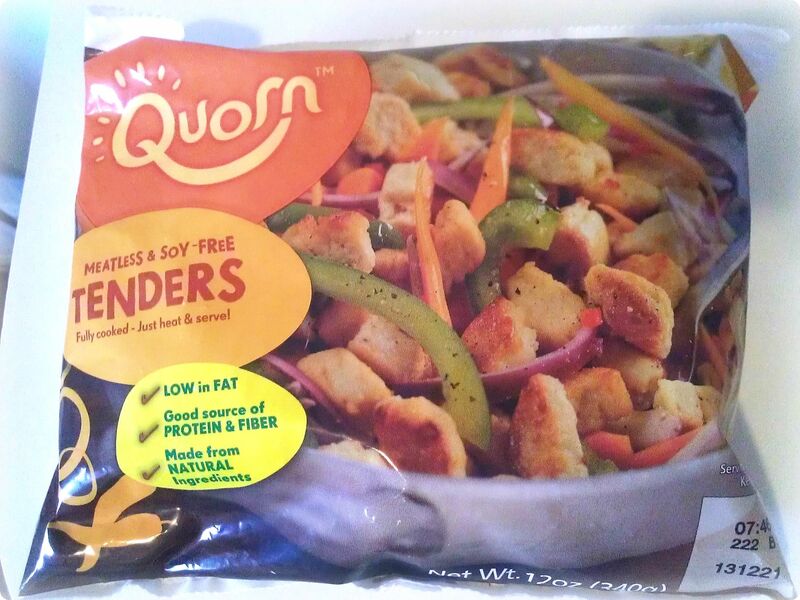 It’s a delicious soy free alternative and this small bag goes a long way; I am usually able to use it for three different recipes. Marinate the chicken thighs in 1 cups buffalo sauce overnight or for at least 8 hours. After the chicken thighs have marinated, pound them out until semi thin (makes it easier to cook them) and place on medium high heat on a cast iron flat sided indoor grill for 12 minutes on both sides or until no longer pink. Remove chicken from heat and place in a large bowl. While the cast iron is still on, add the onions and peppers and cook until they are soft. Using a whisk, shred the chicken thighs and add the peppers to the bowl after the chicken is shredded. 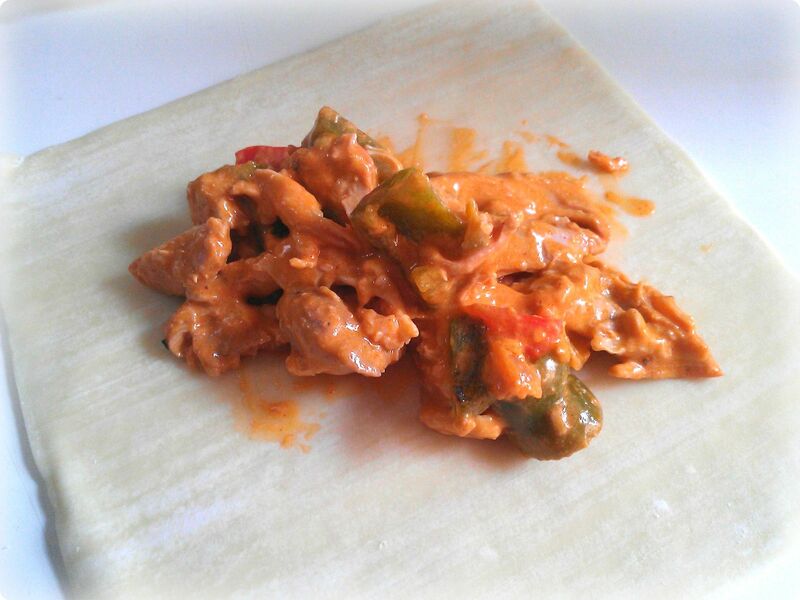 In a medium pan over medium high heat, add the remaining 1/2 of the buffalo sauce and cream cheese and whisk. Add the mixture to the chicken and vegetable bowl and mix well. In a large cast iron skillet, heat the vegetable oil on medium high heat. 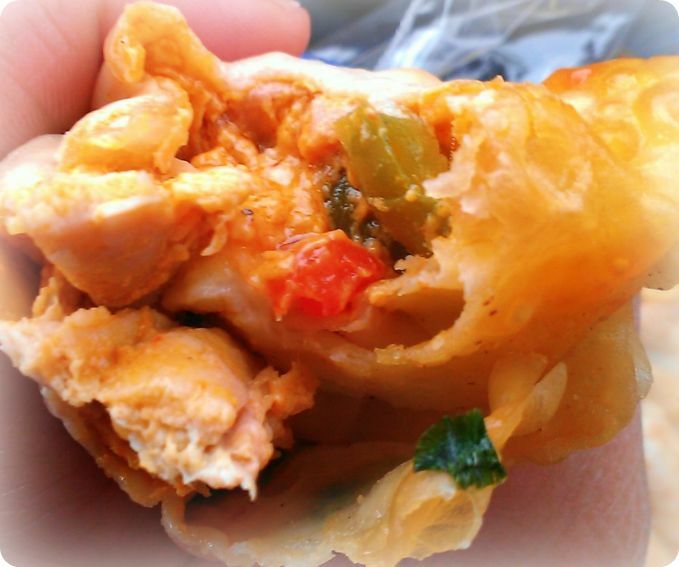 While that is warming, start spooning a little of the chicken and vegetable mixture onto the wontons. Fold following the instructions on the wonton package (it’s described really well on most packages). I use water to seal them versus egg (which packages and many recipes may call for) and find that water works just as well and isn’t as wasteful. Note: Do not over stuff the wontons because they will break and we want them to close/ seal properly but do not scoop so little that there is barely anything there. 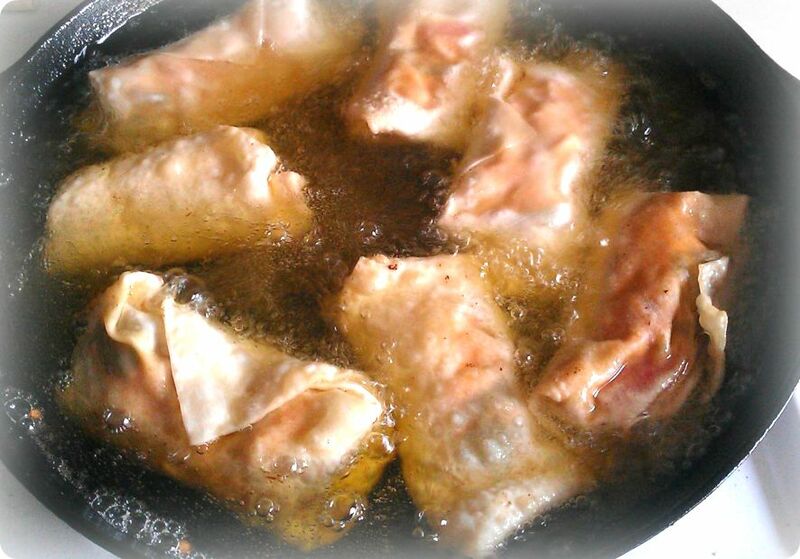 Continue stuffing and folding the wontons (I find that having some help during this process is wonderful- so call your partner, kids, siblings, whoever to come help!) and slowly start placing them into the cast iron with the heated vegetable oil. Fry for 4-8 minutes (depending on how hot your oil is. Earlier batches may need to cook longer whereas later batches may need to cook less because the oil will be hotter) or until golden brown, flipping half way through. Place on a serving plate with paper towels or brown paper bags lining the bottom to catch excessive oil. Garnish with the green onion and serve while warm. 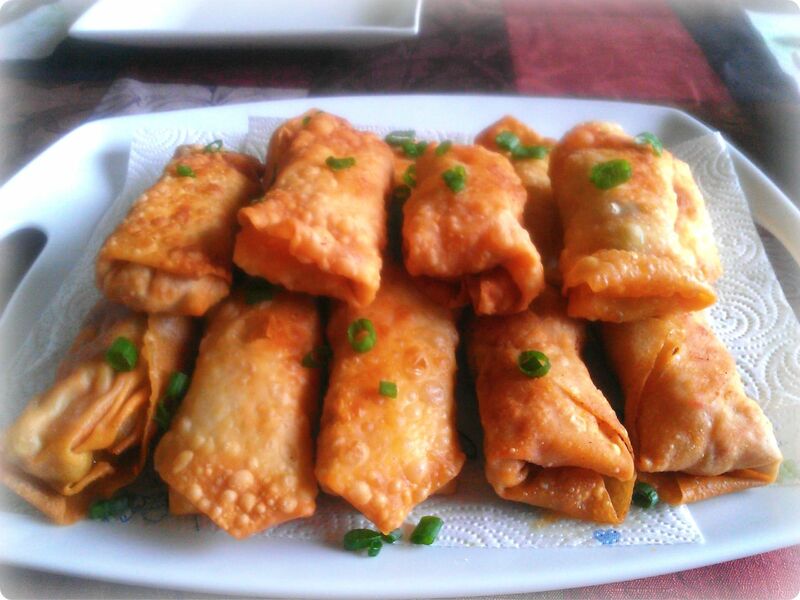 For the vegetarian buffalo chicken fried wontons, follow the same cooking procedure. The only difference is that you do not need to worry about marinating the vegetarian chicken overnight, just follow cooking directions on the package and add the buffalo sauce and cooked veggies. Use a third of the package for this recipe. 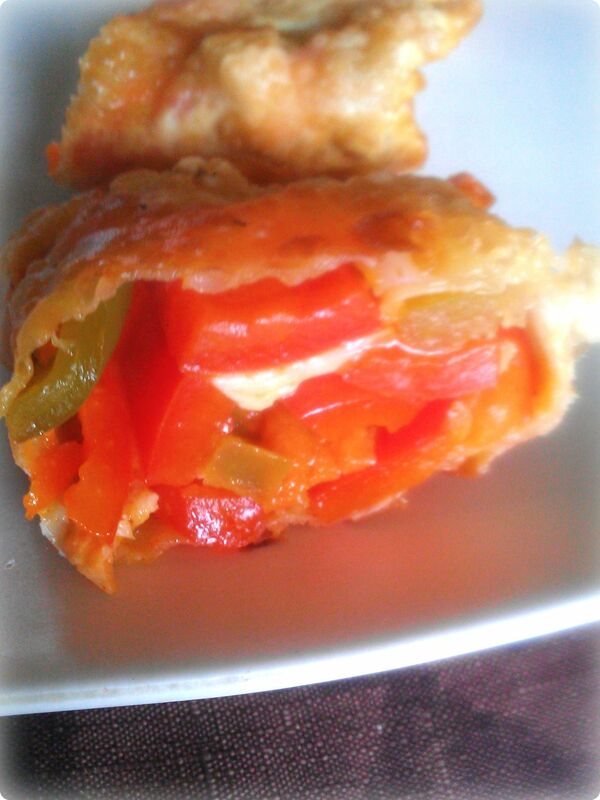 You can also omit the real chicken and vegetarian chicken and use vegetables only. These make great leftovers! 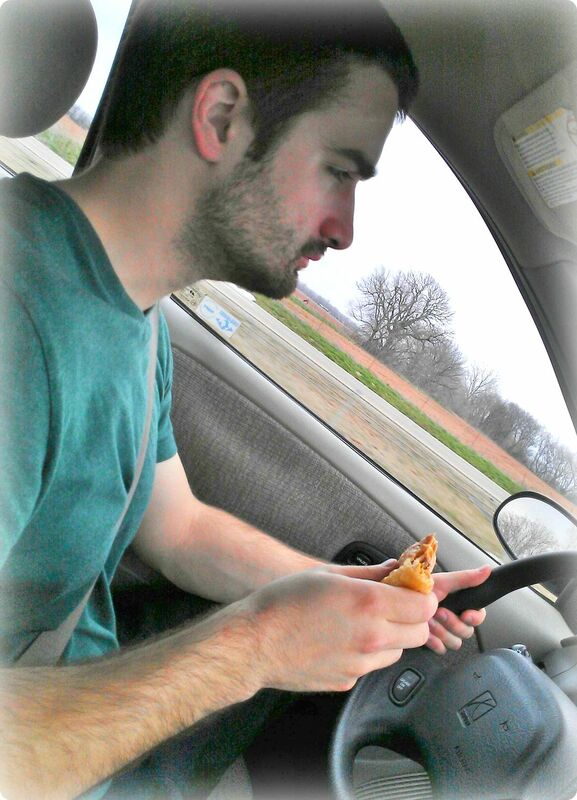 D-Money enjoyed some leftovers on our road trip to Texas for my cousins wedding. Meal planning tip: these are great for freezing and enjoying for another day. Fold and seal them but do not fry them. Make a big batch for dinner tonight and freeze the remainders for dinner next month! Vegetarian food reserved for hippies down in Texas?! :O. Now why doesn’t that surprise me? Haha. Hilarious. These look delicious!! Love how you paired it with some good ol’ classic, Mac n’ Cheese. Yum!